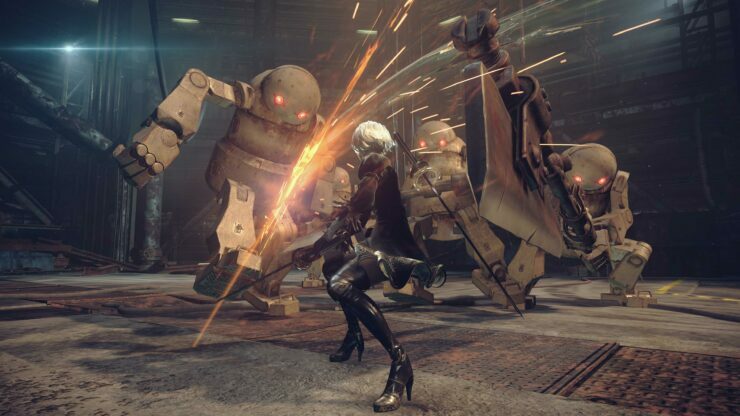 Nier Automata Excellent Sales "Demonstrated Significant Potential For Future Franchise Development"
Following the release of the original Nier on PlayStation 3 and Xbox 360, the franchise seemed to be done, with developer Cavia getting disbanded and director Yoko Taro going freelance. As such, nobody truly expected Nier Automata to do so well, especially publisher Square Enix. The game’s excellent sales have revitalized the franchise, and it seems like sequels will be coming in the future. Commenting on the 2 million sales of the game since its release back in February, Square Enix commented on the latest earnings report that this excellent result not only reminded the world of the high quality of Japanese games but also demonstrated significant potential for future franchise development. In addition, Nier: Automata, which we released in February 2017, has proven a global hit far in excess of our expectations. It has not only reminded the world of the high quality of Japanese games but also demonstrated significant potential for future franchise development. In his review of the game, Kai noted how Nier Automata is one of the best games released this year, thanks to the sum of Yoko Taro’s unique storytelling and Platinum Games’ trademark action experience. Nier Automata is now out on PC and PlayStation 4 in all regions.